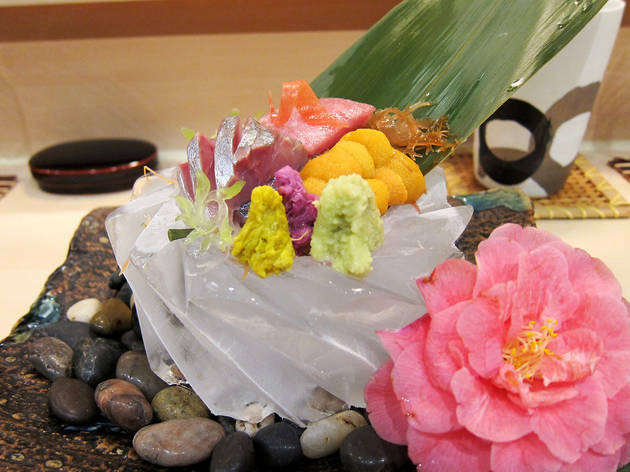 LA is awash with sushi bars, but Urasawa is at the top of the heap. 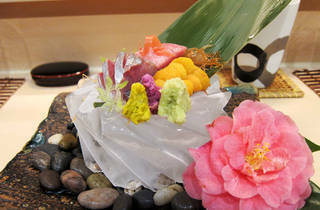 Flown in daily, the fish is prepared by chef Hiroyuki Urasawa and one assistant. Meals stretch to 25 artfully prepared courses; the experience will be amazing and expensive. Booking is imperative (there are no walk-ins), and an early-evening slot is best: if you arrive at 8pm, each course will arrive as soon as you've finished the previous tidbit. Main courses Set menu $300.